I loved playing with the Petal Passion Suite for yesterdays blog hop, I decided to make another card using it today. It is very similar to yesterdays, just tweaked a bit. 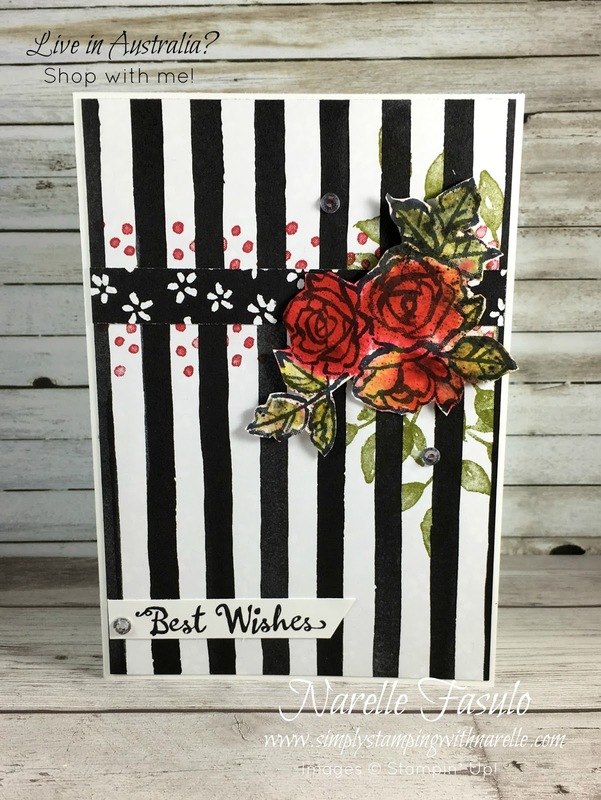 I used the same stamp set as yesterday, the Petal Palette Stamp Set. Instead of colouring it with Stampin' Blends like I did last time, I have used Brusho Crystal Color this time. I love how it turned out. I can't stop using the Brusho Crystal Color. If you haven't seen it before, then make sure you watch the video below. 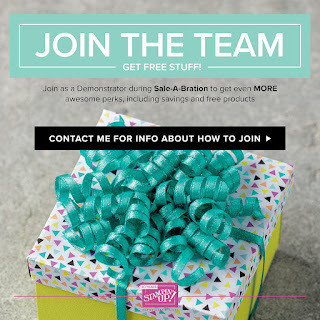 Don't forget that is it Sale-A-Bration time. For every $90 in at order you can choose a FREE item from an exclusive selection. If you spend $180, you get an extra selection to choose from.